As Sir Arthur, you have a challenging quest ahead of you: defeat the Prince of Darkness and rescue your damsel. GNG Code 2 gives you infinite lives, Code 3 multiplies your score by 10, and Codes 4 thru 13 start you on the level you choose. Code 14 will give you an advantage by charging up your power more quickly, but there must be at least one dot filled on the magic gauge for the code to work, and don't use it with the fireball. 1 Invincibility Turn on the system and press reset four times. 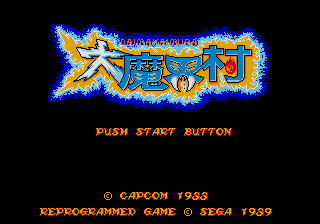 When the title screen appears, press A four times. Then press the directional pad up, down, left, and right. You should hear a chime. Press start to hear another chime, then hold down B and press start. The invincibility doesn't work when you fall into a chasm, get grabbed by a green hand in level 4, or get stamped by Loki's feet. If this invincibility doesn't work, try using Up, B, Down, B, Left, B, Right, and B until you hear the tone. Then hold B and press Start until the game begins. 2 Change Game Colors Select invincibility and choose level 5. Pass the three Minstral Winds and the Cyclops on the wall, climb the ladders, and stand on the highest block. Walk to the edge facing the pit, turn around, and walk to the other end of the block. The game should automatically reset (if it doesn't, repeat the back and forth walking). Repeat the invincibility code, choose level 5 again, and repeat the pacing on the wall until the game resets again. Press Start on the title screen, and notice how strange the colors have become! 3 Secret Bonus Points At the end of each stage you can grab the key and receive a bonus 5,000 points. Have the key on your left side, stand close to it, and jump towards the left. It takes a bit of practice to get the timing down. If you get the key as you begin your jump you should see the message 'Nice Catch!' and receive 5,000 extra points. 4 Slow Motion To play the game in slow motion, enter this code during the title screen: Up, A, Down, A, Left, A, Right, A. If you've done it correctly, you'll hear a tone. Press Start until Arthur appears, then pause the game and press B. You should be able to move Arthur now. You can add the A button to the end of any of these codes to start in the middle, rather than the beginning, of the level. 6 Japanese Mode Select Option from the opening screen. Choose 26 for Music and 56 for Sound. Hold left on the control pad while pressing all three buttons and Start. This game is simply a treat! This is yet another game that rips characters from a legend. This time you play Arthur who must save Guenivere once again from the clutches of Galamoth I think. Though similar to it's preddesecor Ghost and Goblins, Ghouls and Ghosts offers even more in the challenge department as well as the variety department. 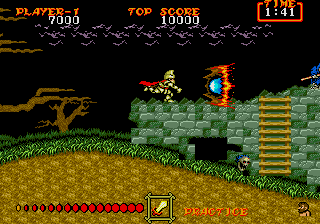 In Ghouls in Ghosts, you can get magic armor which allows your weapon a special attack. There's even more weapons this time around! The music is haunting and very cool. Just watch out for the challenge, @#%@$%! This game get's hard! Not to mention you have to go back to the beginning after beating it a first time. Definately recommended. I give it a 9. 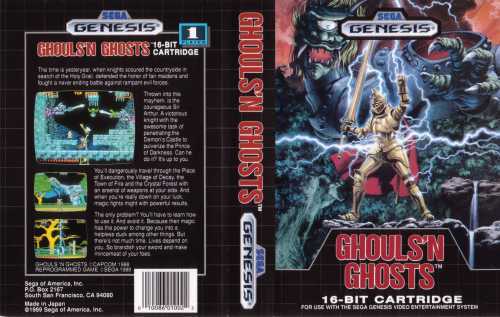 Oh and also check out Super Ghouls and Ghosts on snes and Ghosts and Goblins on nes. Like many horizontal action game, you should have a good skill on memorizing the position of enemy and avoid be hit by the fire. Unlike other similar game, you would need to familar with a many type of weapon, use which when they suite you. You would also interest in using the weapons power with the "gold armor". In general, this game provides a good transition screen between each round, at least you can expect where the final stage was. The control there can easily be handle.Both sounds and graphics are good among all mega drive games. There are one drawback is that this game is too hard to complete, you need to go complete the games two time for a good endings. so you may spend a few hours for a single games. While there would be a rewards to you, a secret weapon, when you complete the game first time. 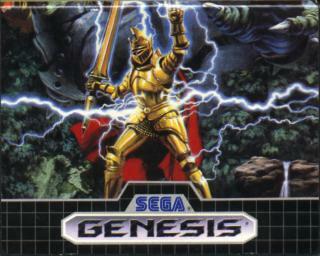 To conclude, if you wish to see want genesis horizontal action games be like, and want to try a hard but interesting game, this would be your choice! 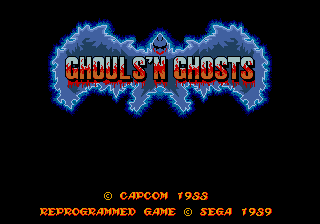 Man oh man, I thought ghost's n' goblins was good ;) This is almost perfect arcade translation to the genesis. Yeah, you have to complete the game cycle twice to see the ending, AND YOU NEED TO HAVE THE CRYSTAL BALL WEAPON THE SECOND TIME AROUND OR YOU WILL NEED TO GO THRU IT AGAIN UNTIL YOU DO!!!!! Just like having the cross in ghosts and goblins. IMHO Get the knife as soon as you can... It's a superior weapon especially coupled with the gold armor. Another diamond for the genesis. Beats the hell out of the NES version! its almost like the game Iron soward, but its alot more fun, and funnier (health depend on the clothing you wear! Full- Armor on Half dead- in your boxers dead- well bones!